On Wednesday afternoon the news broke that the Dodgers had agreed to a seven-year, $215 million deal with Clayton Kershaw, which is a good deal for both sides, if risky. My first reaction to the news was wondering how it would affect the Dodgers in the pursuit of Masahiro Tanaka. I quickly came to a conclusion that it probably won’t. My second thought was thank god for Rick Hahn. I have no idea whether or not Hahn will build a winner on the south side, all I know right now is that I like what he’s done so far, and that odds are he’s already made the greatest deal he’s ever going to make. While you think about Clayton Kershaw receiving an average of $30.7 million a year from the Dodgers from now until 2020, I want to remind you that last season the White Sox signed their own Clayton Kershaw, Chris Sale, to a deal that will keep him in Chicago through 2019 for only $56.65 million. That’s an average of $9.44 million a season. 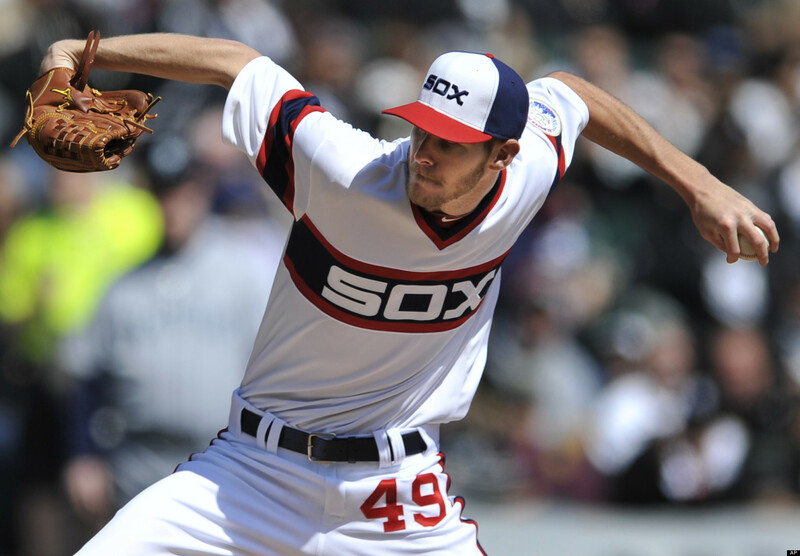 Now, Chris Sale is not Clayton Kershaw. At least not yet. That being said, he’s currently one of the biggest bargains in baseball if you want to compare his contract to Kershaw’s. In the last two seasons — when Sale has been a starter — he has been worth 12.8 bWAR and 9.8 fWAR (bWAR is Baseball Reference, fWar is Fangraphs. Two WARs, what are they good for? Confusing you and starting fights over whose WAR is better.) while Kershaw has been worth 14.0 bWAR and 11.9 fWAR. So depending on whose numbers you prefer, Sale has been worth 91.4% or 82.3% of Kershaw’s production the last two seasons, yet he’s only going to be paid 30.7% the salary that Kershaw will receive through the 2019 season. Granted, when it comes to pitchers, there is always risk. Particularly pitchers like Chris Sale who seem like an elbow injury waiting to happen with every pitch. Signing him to that extension, however, was a move Rick Hahn simply had to make. If you can lock up that kind of talent for such little cost, you take the risk. Hahn even mitigated the risk a bit by adding two options to the end of Sale’s deal. The White Sox can opt out of the deal after 2017 for $2 million. Which means if Sale had his arm torn off by a bear tomorrow the Sox would only be on the hook for $32.65 million, or just a little more than the Dodgers will pay Kershaw in 2014 alone. It was just a brilliant move by the White Sox and Rick Hahn, and I’m not sure he’ll ever be able to top it. I am sure that when he becomes a free agent following the 2019 season that Chris Sale should get a new agent. Going back to how the Kershaw deal will affect the Tanaka Sweepstakes, there are still people who believe both the Cubs and White Sox are in play. First there was this tweet from Jayson Stark. Brought up the name, "Tanaka," to 2 people at owners meetings this morning. They both had the same response: Beware of the Cubs. And then Dan Hayes wrote about one “rival executive” who believes the White Sox will still be a factor. My opinion on the subject hasn’t changed. If Tanaka is going to be in Chicago, it’ll be with the Cubs. How the hell did I not know about this on Monday? We all agree that Dr. Sphincter Rumpczek was A.J. Pierzynski, and that Hank Hill is Paul Konerko, yes? Staying with the White Sox a bit longer, we all remember what Jeff Passan wrote about the Cubs last week. On Wednesday it was the White Sox’ turn in his series, and they were treated much kinder than the Cubs. And what Passan wrote made sense too! Also, Dan Szymborski posted his ZIPs projections for the 2014 Sox at Fangraphs. Some sad news to report, as one of the best names in Chicago sports is no longer with us. Well, I mean, he’s with us. He’s not dead, he’s just no longer in Chicago. Farewell, Jalil Anibaba. 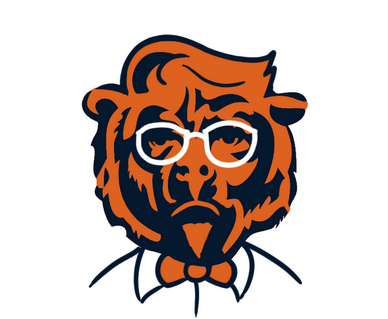 What would the Bears logo look like if it was a hipster? It’s a question that’s been asked for hundreds of years, and now we finally have an answer. So now you know. If you’d like to know how every hipster NFL logo would look, KSK is here to help. 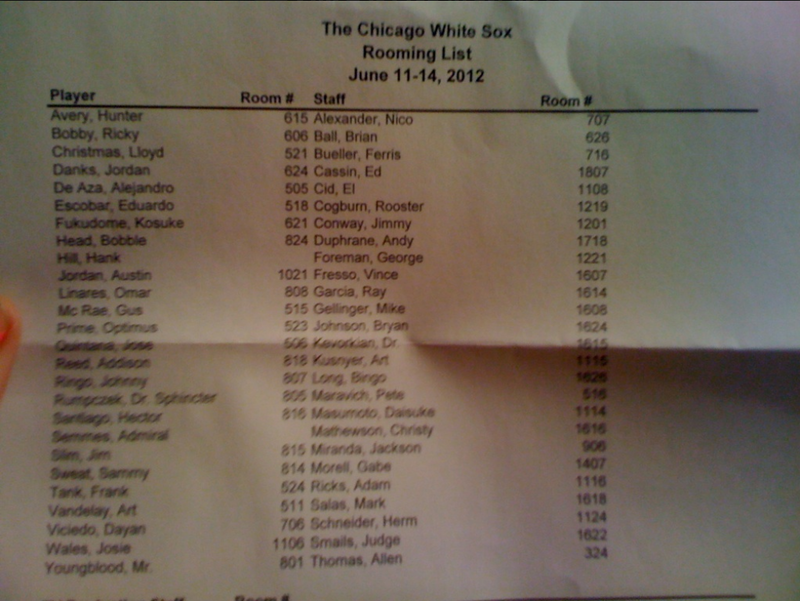 This entry was posted in Chicago Bears, Chicago Cubs, Chicago Fire, Chicago White Sox and tagged Chris Sale, Clayton Kershaw, Paul Konerko, Rick Hahn by Tom Fornelli. Bookmark the permalink.